When Leonardo da Vinci painted the first ever flying machine, he would not have expected that one day it will be the most important means of transport in the world. Today the aviation sector has grown into a billion dollar enterprise and caters to the demand of the millions worldwide. Leading online travel portal BookOtrip is here to take care of all your flight requirements so you don’t spend time scouring the internet anymore. BookOtrip.in provides you a large variety of options to book flight tickets more than any local travel agent or newspaper advertorial could ever give you. Not only International flights but also domestic flight ticket booking is easy with us; all you have to do is log onto our portal fill in the destination, dates and leave the rest to our ever smiling Trip Experts. Keeping to the needs and requirements of the native Indian, we believe in making air travel accessible to everyone. It could be anywhere from the Eiffel Tower in France to the Taj Mahal in Agra or the beaches of Bali to the hills of Kashmir, we’ll leave no place when it comes to getting you the pocket-friendly airfares along with cheap holiday packages. 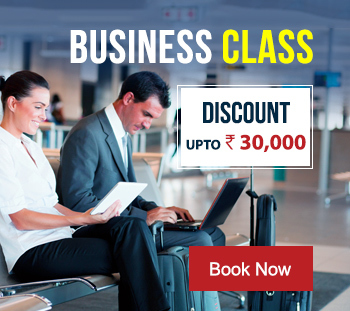 Our website shows airfares on over 650 airlines of the world that include Air India, Etihad Airways, Emirates, British Airways, American Airlines, Lufthansa and pretty much every airline that comes on your priority list. 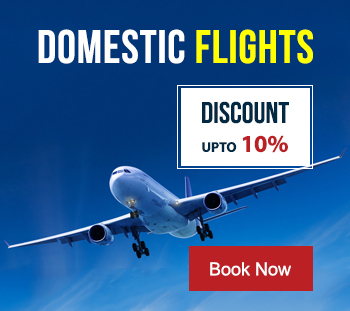 Talking of domestic air travel in India, you can make online air ticket booking to any destination in the country on leading airlines like Jet Airways, Indian Airlines, Indigo, Spicejet and much more. There are scores of options when it comes to flight fares, routes, schedules and in-flight amenities. What sets us apart from other flight booking sites is that we don’t narrow down your search; instead, we give you more options to make a more well-versed decision. 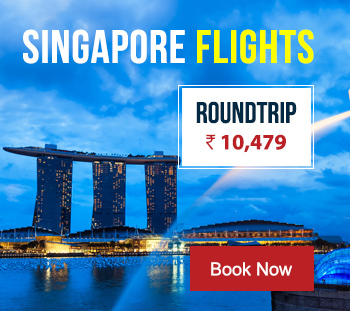 One of the biggest benefits that you get while booking flight tickets online with BookOtrip is that you get the best of services at the most affordable of prices and add to it, everything on the same page. Single flights, return tickets, group bookings and even last minute deals, we’ll make sure you get cheap air tickets every time you log onto our portal. With special offers and deals throughout the year, the smiles on your face will remain forever.